I’ve recently been added to a Facebook group of parents of children from China with congenital heart defects (CHD). One of the mother’s has created a blog in honor of Heart Awareness Month. You can read these parent’s stories, starting tomorrow, on 28 Days of Hearts. 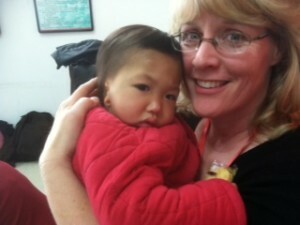 I’ve been so moved reading these blogs about families who’ve adopted from China. There are a few stories from parents who adopted children not knowing if their children would live long enough for them to get to China to get them. Beautiful, beautiful, heartwarming stories. Our family’s story will be on the 8th in honor of Dan’s dad’s birthday. Papa has been gone 3 years now and how I wish he could have seen Maisey and Ben. He would have adored them. I’m hoping these stories will move others to step out of their comfort zones and do something for the least of these. It is so hard to explain to others what you feel when you see all those other children waiting for families. It is truly heartbreaking. I hear people talking about adoption and they shrug it off with words like “I don’t have any free time the way it is” or “I just couldn’t jump through all those hoops with the paperwork” or “it just costs too much” and on and on and on. We who have been there and seen first hand those little faces, want to encourage others to do something. We all wish we could do more. We all wish we could help just one more. I’m praying for those whose hearts have been moved and are still trying to decide. Maybe one of these blogs will help you to decide to “Do Something” too! I’ve written a lot about adoption. I’ve repeated over and over my wish for people to come together and make a difference for these children. I actually have another blog all written out detailing some of the really horrible things going on in orphanages around the world. I know that there is a time for that blog, but it is not today. Today I’d like to talk about the littlest member of our household, well, she will be for at least another 2-3 months. Today I was thinking about what makes adoption so special. The reality is, at the beginning, you wonder “could I love a child that is not my flesh & blood”? Those thoughts don’t make you a bad person, they just make you human. You know you aren’t perfect and you wonder, “what if I care less about my adopted child than I do for my biological child”? What if I somehow treated them differently? Heaven forbid I made it worse for them (as if having a family could really be worse). Doubt is there constantly making you second guess what you could and could not do. Somehow it seems easier when you adopt an infant. They grow up and all they have known is you. Pretty easy. Just the same as having your own baby – but less work in the pushing them out department. 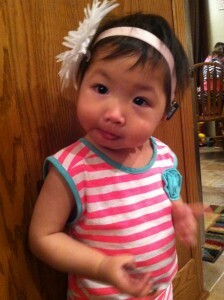 The agency calls and they present you with a one year old, who is labeled as deaf. 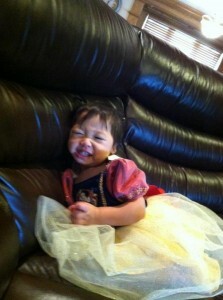 You pray and ask for guidance but you know from the moment you see her picture, that she is your daughter. Now here you are in the Registration Office, you’ve had a year of waiting. A year of looking lovingly at that picture, dreaming about what her personality might be like. You wonder before they bring her in if you can be enough. You wonder if she will love you too. You wonder if you will overwhelm her with all that love you have been holding inside for a year. You wonder if you will scare her. You wonder if you can make her see her worth and just how beautiful she is despite the fact that her ears haven’t formed right and her chin is a little crooked. They bring her in and your tears start. It. Just. Feels. So. Right! To hold her, to touch her hair, to whisper how much you love her – it is all so right. She is your daughter. You would do anything for her. It doesn’t take a month, or a year, it happens right away, in truth it happened even before you meet. But when you finally get to hold her in your arms, your heart literally overflows with love. But things aren’t perfect because you were in fact presented with a two year old. 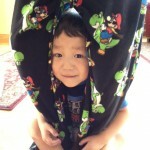 Oh boy – two year olds – they are fun! Delightful, always happy, ready to go along with anything you present them with. HA! Now this two year old doesn’t necessarily have anything against you in particular, they are just being 2 and they do”2″ really well. Add to that a child who has never been taught how to deal with those emotions and it can be a trying few days until you both come to an understanding. There will be many discussion on who is truly the boss. You still don’t know what her personality will be. She needs time to grow and feel secure. It is just like being pregnant. You dream of what that child will be. You dream of about their personality without really knowing what they will be like. Then that sweet baby shows up and you look into that face and your heart is gone. It doesn’t mean you have it all figured out. It doesn’t mean every day is rosy. It doesn’t mean that life won’t have many, many trials. But what it does mean is you are family. Your baby is loved. You will be blessed in ways you can’t even fathom. When you adopt a child from an orphanage, things you thought you appreciated will take on new meaning. The pure joy in watching a child truly discover they are secure is unbelievable. When they finally realize that there is comfort when they are hurt, you will be amazed. Everything has greater value to a child who has had nothing. A meal is not to be taken for granted. A second bottle leaves her dancing for joy. Cookies? Warm blankets and hugs whenever you want one? Well, of course, she”ll take those. Something as simple as making cupcakes and adding sprinkles, brings on giggles galore. She talks and she knows she will be heard. She cries and she knows someone cares. She slowly grasps just what family means and she blossoms. And then day after day she does the most amazing thing. When you pick her up, she just stares at your face. She places a hand on each cheek and tilts her head slightly. She rubs her hand up and down and up and down, very slowly, very deliberately, all while staring lovingly into your eyes. She then says “I wuv you” and lays her head on your shoulder and hugs you as tight as a little two year old can hug. How can you put a price on that? Maisey is joy. There is no other way to describe her and what she has brought to our family, just joy! Now I will admit that she is 2 and wants her own way and has been known to take a toy or two away from Ben. She can stomp her feet and can yell as loud as any other two year old, but more often than not, she is empathy and caring and joy and everything beautiful you’d want your little girl to be. How lucky am I? How blessed am I? By taking a step past my fears, I ended up with blessings too numerous to mention. You can’t save every child, but adoption means “one less”. One less child without a family. One less child without the comfort of a home. One less child abandoned and alone. One less child questioning their worth. I believe “one less” is a truly remarkable and unbelievably amazing thing. 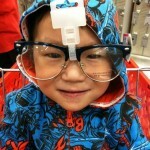 A friend of mine posted a comment about Ben and it got me to thinking about what people really think when they hear that we chose to adopt Ben knowing that he may not live until we got to China, that he may have a year, or he may have 20. No one knows. We know his heart is very, very sick. His oxygen saturations are mid 60’s to mid 70’s. He is very, very blue. Ben’s diagnosis is uncorrected transposition of the great arteries. You can goggle this so I won’t take the time to explain it here. This is a relatively easy fix if you are born in the U.S. and it is corrected right away. I say relatively easy but open heart surgery is always a risk and ALWAYS scary. When this heart defect is left untreated, it leads to pulmonary hypertension and a host of other things. I’m going to go back a little bit and tell you how our journey of faith started. Dan and I were high school sweethearts. We married young. Two years later we were planning on starting our family. I got pregnant with twins and life seemed so perfect. At 28 weeks, my water broke, Kyle died at 5 days of age, and Codey spent the first 14 months of his life in the hospital with every complication you could imagine. Codey went home trached and on a ventilator. Kyle’s death taught me many lessons about what is important in life. I would have given anything to hold him for a month, a year, or even a day more. I wanted my child with me but I also knew his life had meaning. God didn’t make a mistake. There was a purpose. I keep seeing the threads of this purpose as the years go by. 12 years later while Dan was a fellow in the hospital, he took care of a little baby who was going to be born with Hypoplastic Left Heart Syndrome (HLHS). The pre-adoptive parents had backed out when an ultrasound revealed this heart defect. Her biological parents opted to leave her in the hospital and not do surgery. It’s a complicated surgery and the hospital could not make them do surgery. When parents have a child with HLHS, the hospital will present them with three options. These options are a 3 part surgery, a heart transplant or to allow your child to die. They chose to let her die. Dan fell hard for this little girl. He went to the gift shop and bought her booties and stuffed animals; he wrote an order for the nurses to hold her hourly; and he called me. We had a family meeting with our children, Cassie who was 6 at the time and Zach who was 10. We all decided to bring her home and love her so she wouldn’t die alone in the hospital. Cassie said she had always wanted a little sister. She never knew Kyle, but he was still her brother. She would love her sister even if it was for only a couple weeks and then got on her knees and begged for this little girl to be her sister. Zachary said no child should die without love and without a name. We began the process knowing that we could proceed with the adoption even after her death and she would always have a family and a name. It’s a long story and I’ve written about it many times so I won’t say a lot more but we set out knowing we could love this baby and let her go. We believed that she would go to heaven and we would one day see her again. We believed this because we had the truth in black and white. We believed it because we had made it through Kyle’s death and we knew we could do it again. Hopey’s story didn’t end there though, we took a chance on surgery and today she is a beautiful 13 year old girl, and the rest is history as they say. Which leads us to why we decided to adopt Ben. We had already decided to adopt Maisey, who is deaf, when CCAI presented us with a program that China had recently implemented that allowed you to adopt a second child, who has more health issues, on the same adoption trip. We talked about it as a family and we prayed and prayed and prayed. Hopey, who was 12 at the time, said she would like to adopt a little boy with the same heart defect as hers. We told her we didn’t think it was possible to adopt a child with (HLHS) but we were open to the idea of adopting a boy with a heart defect. Dan always nicknames our children before they are born or adopted so we have a name to pray for. We decided to start looking for our little boy, Tigger. We started looking at the lists of children available for adoption. 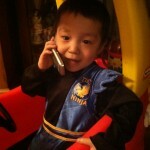 We saw Ben’s picture and knew he was ours the moment we saw his picture, not knowing what his medical condition was. The second picture sealed the deal because in it Ben was holding a stuffed Tigger. Sometimes God’s signs are subtle and sometimes they knock you up along side the head. I will tell you that it took just one day. One day made it all worthwhile. 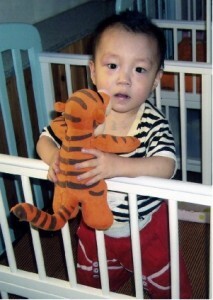 Ben came to us a withdrawn, broken child who had almost given up on life. A few days of food and love in a hotel room and he was running back and forth laughing. He is such a sweet, sweet soul. I’m going to share this story so you can get a glimpse of Ben’s heart. Ben was almost 4 and weighed 23 pounds when we got him. He ate for the first 2 or more hours when we got back to the hotel. Ben slept with a cup in one hand and food in the other. He cried if you moved his food. He held on to it for dear life, but if Maisey (who he’d never met before) asked him for food, he’d give it to her. When we first got him, Ben didn’t make a sound. He had night terrors that ripped my heart out. He was so quiet. Too quiet. Ben looked dejected and wouldn’t even cry when he was hurt. Late on day 2 in China, found Dan having to run an errand. When Dan came back and knocked on the door, Ben yelled, “Dad!” It was the most beautiful sound. The very next day he ran up to Dan, hugged his leg and said “I love you Daddy!”. You cannot put a price on that. That same day I tickled him and we heard the most amazing sound – his laughter. Ben has a laugh that is contagious. It is the most wonderful sound in the whole world, truly priceless. Ben makes you appreciate life. Ben finds joy in everything. Ben is the walking definition of love and caring. My children’s hearts are huge. They have a very strong faith. They are willing to go forward even though they know how uncertain Ben’s future is, but that doesn’t mean they aren’t afraid. It doesn’t mean there aren’t tears. I’ve held my girls on many days and dried their tears because they don’t want to lose their brother. The “what if’s” abound. What if he dies in surgery? What if it makes it worse? What if he needs a heart transplant? Dan and I have asked a lot of them, but the truth is they have learned a lot too. They know you shouldn’t take things for granted. They know every day is a blessing and you should always tell people how much you care because no one is guaranteed tomorrow. They know what is truly important in life and it is not things! We all have our moments of fear and tears. It’s hard even as an adult. Sometimes I just sit and hold him, look at his face and wonder if this will be the day. But I also know I have the choice to be sad and filled with fear or joyous and grateful that I get to love this little boy. I choose joy. I choose a grateful heart. I choose to trust God and His plan. I’m not any more special than the next person. I hope when people look at my life they understand that my faith is what makes this possible. My strength lies in a God that is perfect and a God who is much bigger than I am. My hope lies in a future, where I spend an eternity with these children and their “whole” hearts. Kyle’s death made me strong enough to adopt Hope and Hope’s life made us strong enough to adopt Ben and Ben’s beautiful life has led us to Evie (she has HLHS) and Elijah (he has pulmonary artresia). I know my children are ill. I know their lives will be shortened. It’s not an “if”, it’s a “when”. I also know Codey was supposed to die on at least 20 different occasions, and he just turned 25. No one can guess which day will be his last only God knows the number of Ben’s days. I choose to turn my worries and my fears over to God. I want to spend my time enjoying being his mama. That is a blessing that no one can ever take away from me. Ben has worth. Ben’s life has meaning. Ben makes a difference. The cost of loving Ben is high, but the cost of not loving Ben is even higher. Benjamin’s surgery has been scheduled for February 13th. I’m frightened but excited at the same time. The choices of trying to make his quality of life better or leaving things as they are and enjoying every single moment that you have with him, are not easy choices to make. Praying for God’s wisdom. I’m glad that Dan is able to understand and help make the best possible choices with the information we have. It is a blessing. I’ve been here before with Hope. I know what to expect. It’s a scary time. I also know that God has plans for Ben and that God has always known the number of Ben’s days. 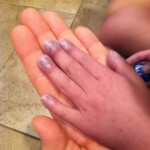 I want to let my little boy’s hands be pink. There is a chance his sats will go from the high 60’s to mid 90’s. That would be amazing. I want him to feel better. But it is always hard to hand your child to another person and wonder if you will be able to hold them again. Praying that God is not finished with my little boy. 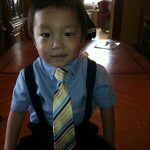 Praying that God will heal little Benjamin in any way that He can. Please keep Ben in your prayers during the next month. He needs to stay healthy and there is a lot of illness going around right now. We will keep you updated on whether or not he is allowed to have surgery, what the doctors say and how he does. Thank you for keeping Ben in your prayers. He is a sweet, sweet little boy. I just have to share this story, which shows his sweetness. The other day Maisey climbed on a table and was trying to get some stuff off of a shelf. (Turn your back on her for a second and she is into something.) When I was telling Maisey not to do that, trying to wipe off her hands because she found some markers and colored her hands, Benjamin was stroking her hair and saying, “Maisey, don’t do that. You can get hurt. Ok? Don’t do that. I love you.” He didn’t yell. He just sat there, looking sweetly into her eyes, stroking her hair, and asking her to not do that because he didn’t want her to get hurt. He is a sweet, sweet soul. I love this little boy and no matter the outcome, I will praise God who let me share in his sweet life. I am beyond blessed to get to have had even one day as his mommy, but I’m praying that I will have many, many more years to hear him call me mom. Love this face. 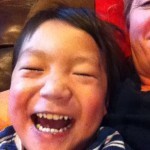 Who wouldn’t love to just snuggle on the couch when you get to hear his laughter? Have I mentioned just how silly Ben is? I have had some interesting conversations lately about how we came to know that we were to adopt again. I knew from the moment we left China that God was not done with me. I knew we were to adopt again. Dan wanted to see how everything worked when we got home first, but he has always wanted to adopt more. When people ask me how I knew, I say I am following God’s leading. I have said that I am listening to God. I have said many things, but judging from the looks on other people’s faces, I am not describing it properly. If you say you are listening to God, which in most people’s minds means that I am hearing God’s voice, they think you have lost it. I’m not literally hearing God’s voice but He is definitely making His desires known. I have to admit I’m getting kind of tired of those “Well, isn’t she sweet, but she’s gone just a little looney.” looks. Even my grandma told me that I was paying too much attention to my emotions, and that was what was leading me. That one made me laugh – my emotions make me want to run away from the hurt and the work I know is coming. It doesn’t make me want to run towards it. I know this isn’t going to be easy. I know if you look at it rationally with all your pros and cons, it doesn’t make sense. I know that on paper it looks like a very bad idea. Where is the sense in adopting a wheel-chair bound, 13 year old who has had very little schooling and knows no English; on top of that bring her home with a 1 year old with PKU with unknown brain injury from the disease; and while you are at it add a 1 year old with a single ventricle who will need surgery right away; and then to top it all off be praying that you are allowed to either, add to this trip or go back, and get the 1 year old with pulmonary atresia. I know what that looks like on paper. You can’t possibly think I haven’t given it every consideration. I have a husband that is trained in everything that can go wrong. We have discussed this in depth, over and over again. I know all of this and yet I know it is right. My heart can be fearful, but still I know when I look at those children’s faces that they are OUR children. I know it to my core. I can’t explain it accurately. I just know it. I know I would do anything for them, including lose my heart and have it hurt in ways no parent should ever have to. I asked Dan how he explains it. He is a wonderful teacher and he usually has some way to explain it. He said that he tells people that when you look at everything with Ben it didn’t make sense. It doesn’t make a lot of sense to proceed with an adoption when you aren’t even sure that the child will live long enough for you to get him, but that Dan knew to his core that this was what he was supposed to do. He isn’t able to explain it. He just knew it was the right thing to do. When we first asked the agency for Ben’s information, they told me another family was trying to decide, I panicked for just a moment because I knew in my heart he was mine. I knew it to my core. I remember praying “God you have this all in your hands. You know the plans you have for me. I trust you and I believe that he is supposed to be ours so I will try my best to trust and stay calm and believe.” God gave me a peace that went beyond any understanding. I trusted that if it was meant to be – it would be. That is the other thing, when Dan and I have exactly the same feeling and we haven’t even been discussing a certain topic, I believe it to be truth. How could it not be true. It worked that way with Lauren (Min). We both saw her picture on our own computers in different rooms and were both moved to tears and ready to go against the rule that we had already made. The rule being that we would NOT adopt older children because it would be too hard on our family. I know I make God chuckle. I can just see Him saying, “Isn’t that sweet? She thinks she won’t be adopting an older child. If only she could see how hard she will be praying for that older child in just a few months.” You’d think I’d learn to never say never. I said “I’m never having more children after the twins.” But I got pregnant while taking birth control and Zachary was the best gift ever. God’s ways are always better. With Elijah, I am almost afraid to hope. But being fearful doesn’t mean I don’t trust God or His plan. “Even when I am afraid, I keep on trusting you” (Psalm 56:3 CEV). I can be fearful because I am human and a very imperfect one at that. But I know Eli is supposed to be my little boy and Benjamin’s didi. Ben has an attachment to him that is so hard to explain. Ben stops and prays for Eli throughout the day. Ben has dreams about playing with his didi. Ben tells me stories about him and his didi. It’s sweet and it doesn’t make any sense. It has to be a God-thing so I’m going to embrace it, trust it, and watch as God’s wonderful plan unfolds. The second comment that drives me crazy is when people say that “you’re a saint” or “I could never do that you must be really special”. It’s true, I do love children. I do have a heart for those hurting, but there is nothing overly special about me. What I am though is obedient. Obedient to God’s calling. Obedient to following His lead. Obedient even when I’m scared to death. It’s a wonderful place to be when you believe in God’s plan so much that you just want to follow it. If you too are feeling a tugging at your heart, listen! If you are being shown something over and over again, pay close attention, even if it doesn’t make sense. Whatever it is that He is showing you, be open to His leadings. Blessings abound when you follow His call. Blessings upon wonderful blessings. I can’t guarantee you won’t be hurt. I can’t guarantee you everything will turn out fine, but I can guarantee you a peace that exceeds all understanding even when trials lie before you. Listen. Trust. Follow. Be obedient! Today a family that I know will give birth to a sweet little girl. Today their world will change for the better and for the worst all at the same time. Today they will see what God has in store for them. A little girl will come into this world, not perfect by the world’s standards, but perfect in God’s eyes. Today my heart aches for what I know lies ahead for them. It may be worse than they think or it may miraculously be better than they were told. Either way it will be hard. The pain can be unbearable. It’s not fair! It’s not right! Babies should be born healthy and happy. Mothers should not cry tears of unhappiness – there should only be tears of joy. The truth of the matter is they will one day look back at this moment and feel blessed. They will see how bad things can work for good. They will see all the way their lives have impacted others. It doesn’t help today when they are hurting. I know if I said this fact to them, they wouldn’t believe me. When you are in the moment, you are numb, you are hurting, you want it to be a really bad dream that you can wake up from. It changes everything and you can’t go back to who you were no matter what happens. Whether she lives an hour or 50 years, you can’t go back. You will be forever changed. It is just the way it is and no matter how you rant at God – it won’t change. These are the cards you have been dealt and now you have two choices. You can see the beauty and the miracles in this life or you can forever be angry at God for doing this to you. The reality is that He didn’t do this to you. You aren’t being punished. John 9:1-3 As he went along, he saw a man blind from birth. 2 His disciples asked him, “Rabbi, who sinned, this man or his parents, that he was born blind?”3 “Neither this man nor his parents sinned,” said Jesus, “but this happened so that the works of God might be displayed in him. But it is hard to see that at the beginning. I will admit that I was angry for a moment, but it didn’t last. I believe there are stages to your grief and you will spend as much time in each stage as you need. Don’t let others tell you that you’ve had enough time to mourn. Letting go of dreams is a process. The problem begins when/if you decide to take a detour into the self-pity/bitterness pit stop. That is a very dangerous place to be. You can get stuck there in that darkness. I’ve watched it happen to people. It’s hard to hear God’s voice of peace when you are busy screaming at Him. I know this because I’ve been there. I’ve had a child die and I’ve had a child live with medical problems. I was so ready to be a mother. I felt so blessed to be having twins. I had a husband who adored me and two babies on the way. People shared my joy. Complete strangers congratulated me. It was a happy, happy time and then it was gone. My water broke. They lifeflighted me to Des Moines. It was scary. Unbelievably scary. I didn’t even have the words to pray. But even then I was in denial. They would be little, but they would be okay. We could do this. Life would still be perfect. I think your brain processes as much as your heart can handle at the time. Kyle died at 5 days of age. Dan and I had quit our jobs. We had no home and now we had a son to bury. We were relieved that we had life insurance until we found out that to get the $10,000 coverage your child must live 7 days. Kyle died at 5 days of age. So now we had no job, no home, no money with which to bury our son. Because we couldn’t afford to have the funeral home come get him, we drove Kyle from Des Moines to Fort Dodge after his autopsy and hand delivered him. There was a big dose of closure and reality for you. I wanted to wake up. I wanted it to not be true. I wanted to put them back inside of me and be happy again. I was mad and hurt and screaming out that it just couldn’t be my life. I didn’t want it to be my life. I didn’t want to look at pictures of tiny, white caskets or decide which outfit he should wear. I wanted to hold him. I wanted to comfort him. I wanted that little cottage with the white picket fence and my little, curly-haired, blonde boys in their little overalls chasing Dan in the backyard. I could picture it all and it was never going to be. I share these things not because I think she won’t make it, but because I have been through both. I understand the pain from the loss of dreams, the unbelievable heart-wrenching pain of losing a child, and just what it will take to make the best of a bad situation. I understand how hard it is to trust God’s plan when it doesn’t make sense. I understand the question “why me?”. I can still picture that dream I had of my boys before they were born. Now I can smile, but for a long time seeing twin boys still brought me to my knees. Letting go and trusting God and His plan isn’t always easy; but God is perfect, His plan is perfect, and His timing is perfect. Isaiah 55:8 “For my thoughts are not your thoughts, neither are your ways my ways,” declares the LORD. It has been 25 years since Kyle died. 25 years years of some very hard years for Codey and our family. I’m not sure what I would have done standing there at the end of the aisle with Dan, if they had said here is what you are signing up for. I want to believe that my faith was strong enough and my love for Dan was big enough that I would have still said I do, but who knows. It’s easy to say that I would have done that now, but I am a whole different person now. I have a stronger faith. I have a deeper love for my husband. I believe every life matters. I see things not as much from the world’s viewpoint any more. I try so hard to see it from eternity’s viewpoint. I’m not sure at the age of 22 I even understood what that meant. Today I am happy. Today I see a few of those threads in the tapestry of my life and how it has affected others. I see my husband and his love for babies and his drive for making their lives better. I know where it comes from. I know that Codey and Kyle’s lives had purpose. I know that their lives mattered. I know that there lives have touched so many others. I know that I am a much better person because of them. But today for one family it is just starting. The pain is going to be very, very real soon. I ask that you lift them up in prayer today. I pray that God will give them the peace and the strength they need in the coming hours. Whether she lives a short life or a long life – her life has purpose. Her life has weight. She will make her mark on many, many hearts. I know this because she has touched mine. Many, many people have heard her story and are praying for her. God bless you sweet, little girl and welcome to your new life and a family that loves you so much! 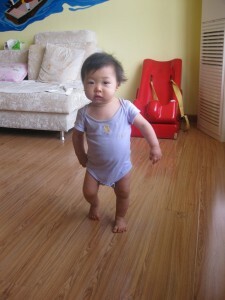 Sometimes I feel like I am saying the same thing over and over again about orphans, but my heart just hurts for them. I just saw a figure that said every 18 seconds a child becomes an orphan. It’s tragic. It’s sad. It’s unbelievable. It’s overwhelming. I know that my friends and family who read this blog know and understand where I am coming from. I apologize for the repetition, for preaching to the choir so to speak. I try to use my blog to inform people, to show God’s glory and to journal what I am thinking. This blog has become a place for me to store information that I want others to know and information that I may want to retrieve later. I have been reading tons lately about the plight of orphans around the world. I have read comments from people who stated maybe God closed the adoption of orphans from Russia so that we would pay more attention to the children who need to be adopted here in the U.S. These are stats from a friend of mine “Well, a quick Google search told me that at one estimate there are ~104,000 adoptable children in foster care in the US. Another Google search just as quickly told me there are ~374,000 Protestant, Catholic, and Orthodox congregations in the US. It certainly doesn’t take a math genius to see that US Christians could very easily take care of every single adoptable child in the US even if not every congregation chose to participate.” Yes, we need to care for those children who need to be adopted and fostered here in the U.S., but I don’t believe it is an either or thing in regard to adoption. I absolutely don’t believe it is a God thing. I believe it is a political thing. I believe it is an evil thing! I believe it is most assuredly a Satan thing! But the wonderful news is that God can use this horrible thing for good. Romans 8:28 And we know that all things work together for good to them that love God…. God can show people what is really going on. As this gets more and more press, it brings to light what it is really like for orphans around the world. Newspapers all around the world are carrying this story. Just like with the horrible fire in the Henan Province in China, as more and more gets brought to light and it convicts people’s hearts, maybe things will change. I pray that good will come out of these horrible things. I truly believe God doesn’t want us to only care for those in our country. John 3:16 states “For God so loved the world…” or Mark 16:15 “And he said unto them, Go ye into all the world….” Verse after verse talks about His love for the world and He clearly states how he feels about us helping those in need. I was talking to my daughter, Cassie, about this. She came back later and said “What if God had only decided to save His chosen people? What if God had said, ‘I will save Israel, but the rest of you can deal with things on your own.’ Where would we be then mom?” But that isn’t what God did. John 3:17 For God did not send his Son into the world to condemn the world, but to save the world through him. We can not keep our eyes on our own little corner of the world. We can not pretend these atrocities aren’t happening. Orphanages in Romania have children that are hidden away, in concentration camp like settings, starving to death. This isn’t an exaggeration. You can go to the “No Greater Joy Mom” blog and read more about it. If you don’t take time to read the blog, at least scroll down and look at the pictures. ( if-not-us-then-who.html .) Unfortunately, there are many blogs, just like hers, that show what is going on. Her family is adopting a little girl, Hasya, who is 14 and weighs under 25 pounds. How is that even possible? I have a very skinny 4 year old who weighs 26 pounds. I can not imagine that weight on a 14 year old. I hear about how many children die in orphanages as infants. I feel overwhelmed and unable to help but I know that is not the truth. God wants us to speak up. We can’t be quiet any longer. We can’t pretend because it is happening some where else that it doesn’t matter. We can’t keep closing our eyes and our ears to the truth. We have to take a stand. We have to start some where, one child sponsored, one family supported, one more story shared so others can know the truth. James 1:27 says Religion that God our Father accepts as pure and faultless is this: to look after orphans and widows in their distress…. That is pretty clear. The fact that there are over 147 million orphans in the world means we have failed as Christians. How did this happen under our watch? Posting it so Mema can see Maisey doing her moves. Not my favorite song, but I love to watch her dance. 🙂 I remember being a little sad when we were going to adopt her because she was deaf and wouldn’t be able to dance and sing with the girls. Our girls are constantly in movement and our house often resembles a musical. I should have known better than to worry at all. She loves to dance and sing. She is the most animated little girl. Being profoundly hard of hearing makes her extra observant – which helps with those complicated dance moves.